Why do my gums bleed and do I need to worry about it ? Gingivitis is when the gums around your teeth become very red and swollen, and they may bleed when you brush them. As the disease continues, it affects the bone supporting the teeth in the jaw. Eventually the teeth become loose. If you have gum disease there may be blood on your tooth brush when you clean your teeth. 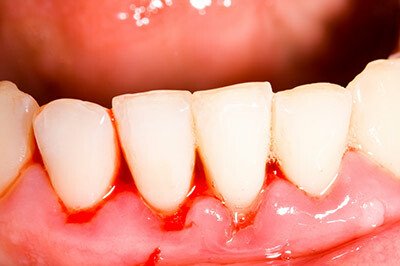 Your gums may bleed when you are eating and you may have a bad taste in your mouth. Your breath may also smell bad. 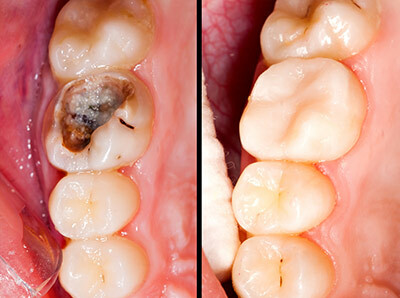 To prevent gum disease you need to make sure you remove all the plaque from your teeth every day. Brush your teeth twice daily. Clean in between them with inter-dental brushes or dental floss. Visit your dentist for regular checkups. Your dentist will clean your teeth thoroughly to remove any hardened plaque which is difficult to remove with brushing alone. You will also be shown how to clean your teeth thoroughly and effectively. Early tooth decay does not tend to show many physical signs. Sometimes the tooth looks healthy, but your dentist will be able to see from an x-ray - whether you have any decay under the enamel, any possible infection in the roots or any bone loss around the tooth. 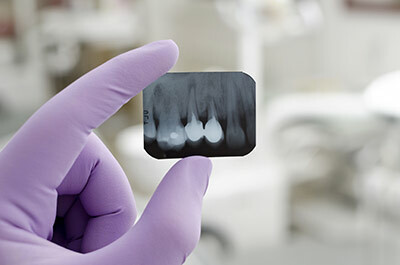 X-rays can help the dentist to see in between your teeth or under the edge of your filling. Finding and treating dental problems at an early stage can save both time, money and avoid pain. The amount of radiation received from a dental x-ray is extremely small. We get more radiation from natural sources, including minerals in the soil, and from our general environment. With advanced equipments, risks are kept to a minimum. Our x-ray units are based on the "As Low As Reasonably Achievable (ALARA)" principle. This is a radiation safety principle for minimizing radiation doses and release of radioactive materials by employing all reasonable methods. We use the latest equipment to comply with ALARA principle. Our Satelac x-ray systems is recognised for its reliability and consistent performance and very low x-ray dose. Amalgam (silver) has been very widely used as a filling material for decades. Despite its long history of success concerns have been raised regarding its safety due to the presence of mercury in it. However there is insufficient evidence to justify the claims. Amalgam has been declared safe and effective for use in tooth fillings by some of the major health organisations like the British Dental Health Foundation, World Health Organisation, Food and Drug Association (USA). In studies carried out by these organisations the amount of mercury measured in the bodies of people with dental amalgam fillings was far below the lowest levels associated with harm. However, the use of silver fillings should be avoided in individuals who may be sensitive or allergic to mercury or other components of dental amalgam and in pregnant females. There are numerous options to silver fillings, including composite (tooth coloured), porcelain. Your Dentist @ Healthy Roots will discuss all options with you, so you can determine which is the best option. Why should I consider Composite (White) fillings? Most people have fillings of one sort or another in their mouth. Nowadays, fillings can be natural looking. Many people don't want silver fillings that show when they laugh or smile, because they are more conscious about the way they look. Are white fillings as good as silver fillings? 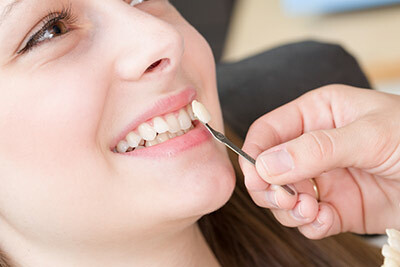 White fillings have always been considered less long lasting than silver fillings. 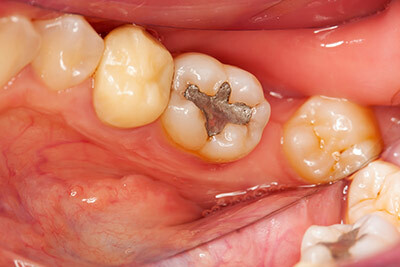 But there are new materials that are almost as good as silver fillings, and these are proving to be very successful. How long a white filling lasts can depend a lot on where it is in your mouth and how heavily your teeth come together when you bite. They are very thin, porcelain shells customised to each individual and bonded to the surface of the teeth. They help to reshape broken, irregular teeth or teeth that have uneven spaces between them. They also provide a solution for discoloured teeth that do not respond to whitening treatments. They are very durable and will not stain, making them a very popular solution for those seeking to restore or enhance the beauty of their smile. Getting veneers usually requires two visits. It is a painless procedure requiring no anaesthesia. Veneers are an excellent dental treatment that can dramatically improve your teeth and give you a natural, beautiful smile. When do wisdom teeth erupt? Do they always cause problems? Wisdom teeth usually appear between the ages of 17 and 25. Although sometimes they may appear many years later. People often have jaws that are too small for all 32 teeth. So if all the other teeth are present and healthy, there may not be enough space for the wisdom teeth to come through properly. In case of inadequate room, the wisdom teeth get stuck against the tooth in front of it and are described as 'Impacted'. In this case, the overlying gum covering the impacted tooth can become sore and swollen. Food particles and bacteria can collect under the gum edge, and it will be difficult to clean the area effectively. 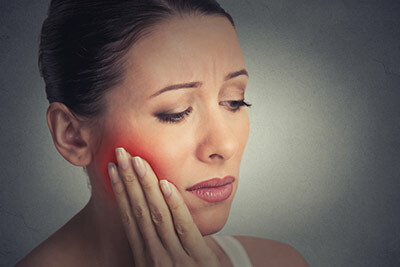 This is known as pericoronitis.This is a temporary problem that can be dealt with by using mouthwashes and special cleaning methods and possibly antibiotics. If the problem keeps coming back, it may be better to have the tooth removed.